I made this CHOCOLATE FUDGE CAKE at the weekend for some friends and it was certainly a hit. I have to admit, this is my first attempt at a Chocolate Fudge cake. I followed a recipe from a book called "Chocolate - 500 Classic Recipes", a book by editor Felicity Forster. Exactly as a Chocolate fudge cake should taste like - gooey; chocolatey; moist. It is a very simple cake recipe to follow with very little hassle! And delicious for an occassion.... it's one i will make again! Preheat oven to 160 degrees C. Grease a spring tin and line base with greaseproof sheet. 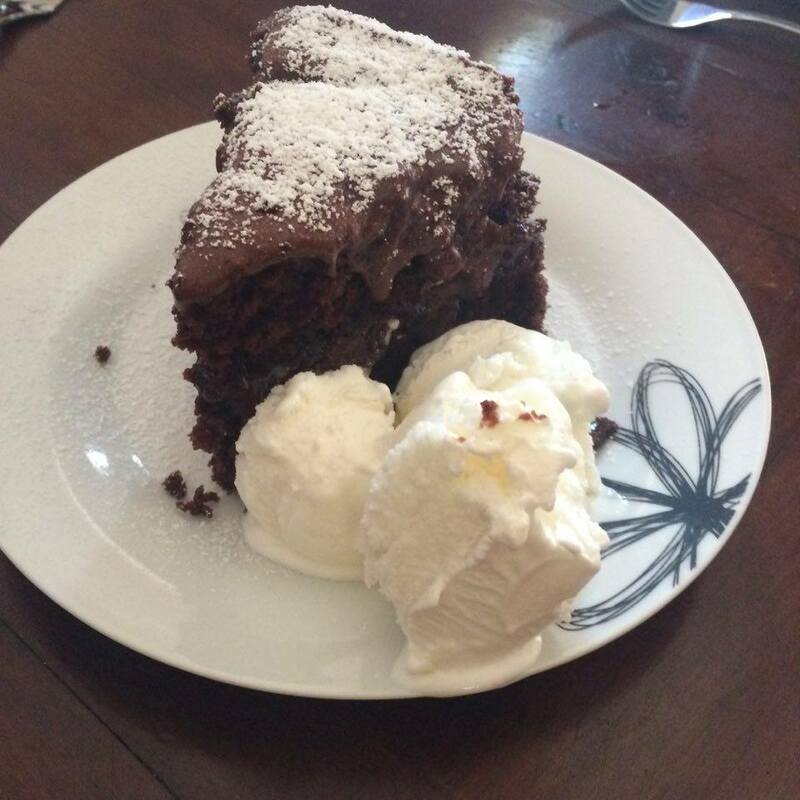 For chocolate cake mix: In the mixer, sift 275g self raising flour; 50g cocoa powder; 3tbsp baking powder and combine. With mix on low to med now, add in 225g caster sugar with few drops of vanilla extract and mix. Gradually beat in 135ml sunflower oil. Now with the constant beat on, gradually add in 350ml water. It seems alot but trust me, it is the correct measurement here. Pour into prepared tin. Bake for about 45 mins or until skewer inserted comes out clean. Leave to cool in tin for few mins then transfer to wire rack to cool completely. Once cooled, turn the cake on its side and shave the top of your cake to level it. Then cut the cake into 2 equal halves. To make the Chocolate fudge, place 50g margarine and just 3tbsp water into a saucepan and gently heat on lowish heat until butter is melted. Remove from the heat and add into a clean mixer bowl. To this add 250g icing sugar and 2 tbsp cocoa powder and beat until mix is shiny. Add more hot water if you need to make a spreadable mix. Set aside to cool before spreading some between your cake layers and over top also. I use about 1/3 to sandwich the layers and then 2/3 for the top. I let the fudge kind of flop over the sides. But you can use the mix to whatever ratio you want. You can also top with chopped nuts and a dusting of cocoa powder or icing sugar.